The meeting on CSR was held in Hong Kong in May 2010 to discuss and share the experiences amongst critical CSR practitioners and to learn from each other. This report from the meeting elaborates the critiques on CSR from participants’ experiences. Several issues were discussed in the meeting namely on the engagement of NGOs, role of state, consumers, and media in the CSR industry. 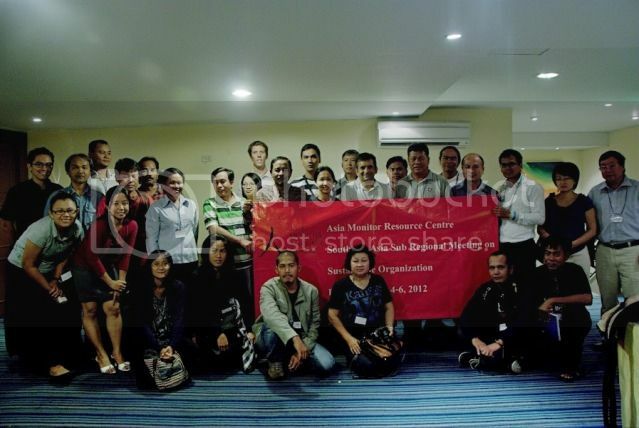 EDITORIAL: Will the Asian Labour Movement meet the ICT Challenge? The ICT industry has grown by leaps and bounds. It has rapidly become a major export industry for developing countries. While the US and Japan are still major exporters, developing countries, mainly in Asia, already account for almost 50% of all electronics exports.